We are proud to have been offering discounts to the Emergency Services, NHS and Armed Forces since September 2008. 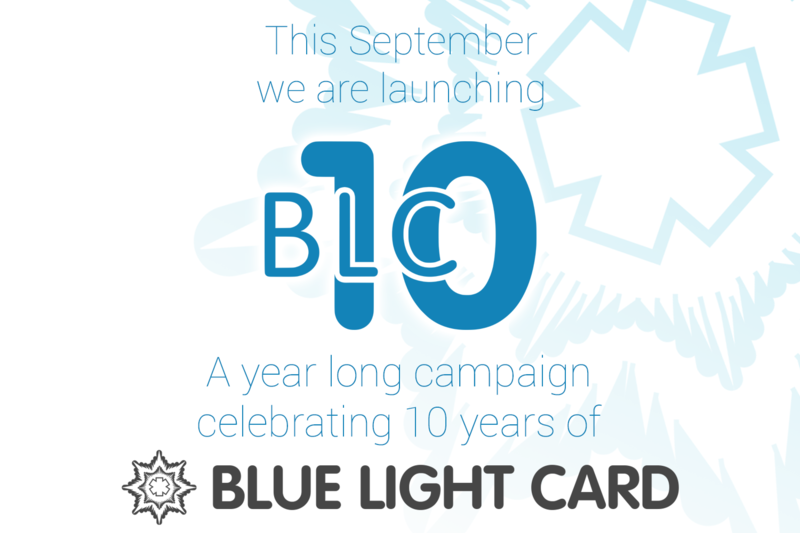 This September, Blue Light Card turns 10! The BLC10 campaign is our way of celebrating this, and thanking the amazing audience that we serve daily. We are so fortunate to look after those that look after us each day. BLC10 plans to celebrate this and engage with our community of members to thank them. We will be running special events, adding new features, running competitions and much more. Click the register now button on our home page and fill out the information. Once you have filled that out you will receive a verification email in which you will need to click the link to confirm your email address. You will then be verified by our staff and can access the website. You will need to provide work specific information in order to sign up for this service. We are excited to announce as of August 24th we are officially affiliated with the Disney Store, offering a 10% discount In Store and Online to our members. Since first opening in 1987 the Disney Store now operates in over 380 locations across the world, selling products from Disney, PIXAR, Marvel and Star Wars with a variety of products ranging from homeware to plush toys. You can use the Blue Light Card app to find your nearest Disney store, which can be downloaded for free from the Apple Store and Play Store respectively. To use our In Store discount you will need to show your Blue Light Card when paying for your products, which can be purchased from our website at a cost of £4.99 for 5 years. 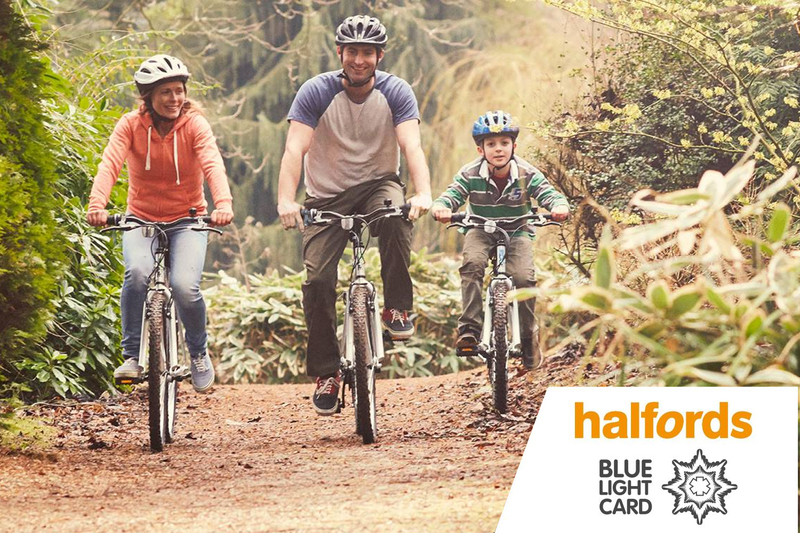 We are proud to be working with Halfords to deliver a 10% discount in store to all members of Blue Light Card. Halfords is the UK's leading cycling and motoring retailer and is your one-stop shop for exclusive brands in bikes, high quality car parts, and accessories, as well as travelling equipment. The offer has been really well received by members in the last month since its launch and hundreds of members have saved in store. To save yourself all you need to do is visit the Halfords offer on the Blue Light Card website or app and print off the voucher or show the voucher on your app in store. You will then need to show your Blue Light Card with this as proof of membership (members do need to show the voucher with the card though at the tills). 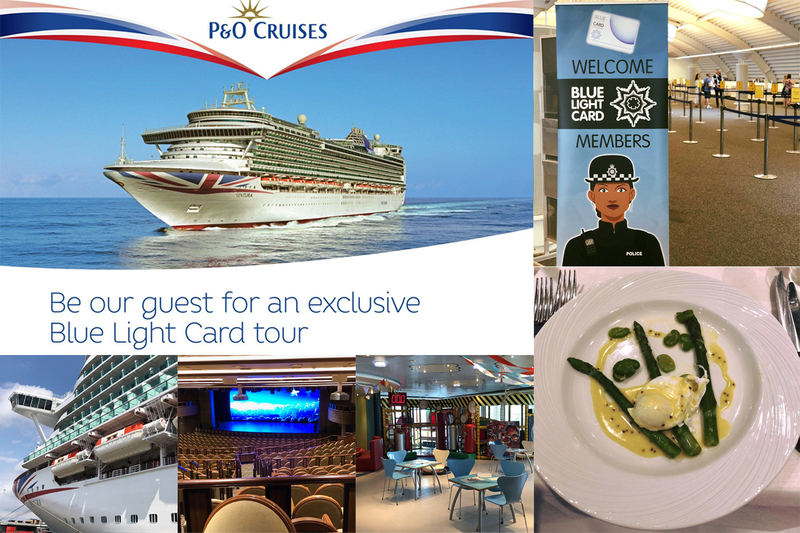 Blue Light Card members enjoyed an exclusive tour of P&O Cruises family friendly ship Ventura last week. Members booked on to the experience for just £25 each. BLC members were given a guided tour in small groups, through all aspects of the ship, from the different cabin types, restaurants, kids clubs, night nursery, theatre and bars. Blue Light Card members were then served a three course meal with coffees and cheese to finish. Overall it was an amazing experience to find out more about cruising, experience a ship, ask the questions you want to ask and experience a sample of the menu onboard. A try before you buy of P&O Cruises. For more information on P&O Cruises and the offer for BLC members, visit www.bluelightcard.co.uk or log in to our mobile app and search for P&O Cruises. 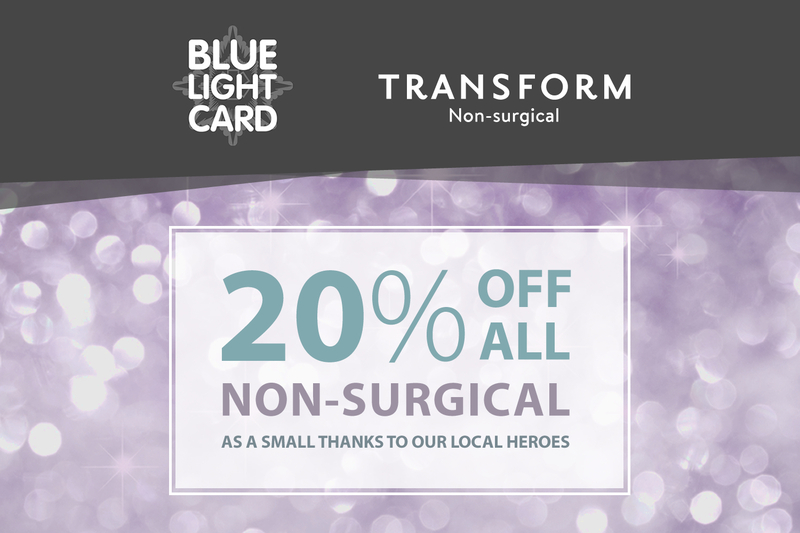 To receive your special discount, simply flash your Blue Light Card in any of our 22 clinics & 3 hospitals nationwide.